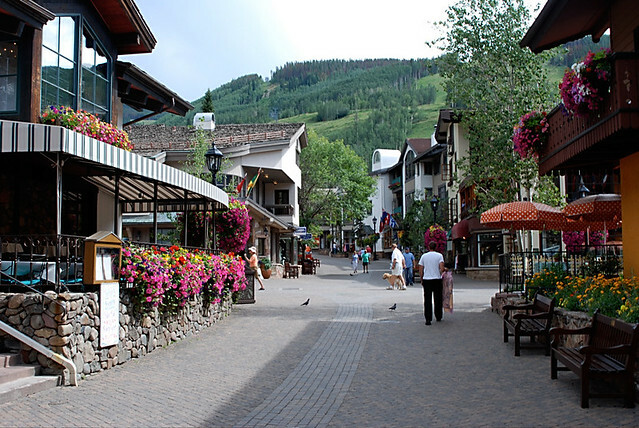 What are the best things to do in Vail, Colorado? Of course, everyone knows about winter activities like skiing and snowboarding in Vail, Colorado. Although it’s one of the top trendy vacation spots and home to world-class athletes, it retains a friendly small town feel at the same time. Vail, known as a world-renowned vacation destination, isn’t only popular when the weather drops; it’s common during all seasons, boasting the ultimate experience for all ages. Founded by Siebert and Eaton in 1962, the ski resort is named after Charles Vail, the legendary highway engineer who built the first road through the area. Their dream when viewing the mountain terrain from the top was to create a ski resort, never imagining that it would become so much more. Actually, March is the end of the ski season and noted as the biggest end-of-season bash of the Rocky Mountains. With free live concerts, after-dark parties, and base area giveaways, you’ll have the time of your life. Whether you’re ending the cold weather or beginning the warmer season, there is something for everyone. Most people don’t think of traveling to Vail, Colorado during the summer months and others wonder why they would. Well, from experience I can testify there are a multitude of adventurous and exciting things to do in the warmer months. There are gorgeous trails for hiking, biking, or horseback riding, the usual stuff. For something different, try mountain biking on the cross-country trails where you’ll see miles of scenic vistas. Getting to the top is fun, but if you want a ride down the mountain, the trails are accessed by Gondola One for the first timer, families, or experts. Purchase a bike haul ticket at the base gondola. And if you forgot to bring your bike or helmet, rentals are available from Vail Sports in the Village. Tickets for other activities like kayaking and rafting are found in Vails White Water Park in the center of the village. Guided class 1-4 river trips on the Eagle or Colorado River are exhilarating and exciting. The Betty Ford Garden is the highest botanical garden in the United States. There, you’ll see waterfalls, as well as perennial and rock gardens, or you can have fun with a photography or kids educational class. Adventure Ridge is full of fun activities for all ages. Take the Eagle Bahn Gondola 10,000 feet up and play disc golf, or go tubing. If you’re not that adventurous, enjoy the spectacular views while eating BBQ food. Buy tickets in bundles of three or more goings-on. Try the Rebound Trampoline and catch air or step up the Climbing Wall. Play Lawn Sports like the bag toss, horseshoes, or Dino Dig. You can even fly through the air on the Zipline or go ice skating. Yes, summer ice-skating at Dobson Ice Arena. To heal those sore muscles, swim in a hot mineral bath at Glenwood Hot Springs. Everyone takes to the road during fall foliage, but have you ever thought about seeing the impressive end of summer colors from a hot air balloon? What about watching the X-Game athletes? Another exciting thing to do is to go jeeping with a professional Jeep driver climbing and turning for the experience of your life. If you’re not a skier, try a Dog Sled Tour, a one-of-a-kind experience whizzing by wildlife like elk, deer, and the elusive snow fox. Try Ice Climbing with Apex Climbing School with a private guide. Give snowshoeing or snowmobiling a try or go on a sleigh ride. 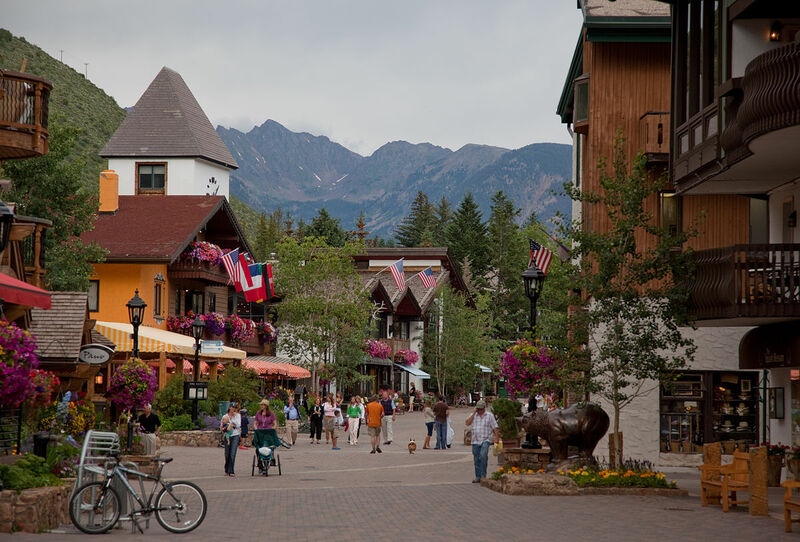 At the end of the day, visit Vail Valley where restaurants, shops, and attractions are plentiful. Now that you know the time of year that appeals to you most, the below information will get you there and find lodging. Finding an inexpensive flight to Vail, Colorado is tricky. Denver International Airport had its busiest year ever in 2014 with 53.4 million passengers. In fact, the busiest months were January, February, April, May, September, and October. Also noted as the 15th busiest airport in the world, DIA is just 121 miles from Vail Mountain, or a two-hour drive while Eagle/Vail Airport, is 30 minutes from the mountain and one of the fastest growing airports in the nation. I suggest you make your reservations on the fringe seasons if possible. There are ample transportation services from the airport to the hotels, beyond car rentals. I use Vail Transport Services or All Mountain Transportation, both competitive with pricing. Prices are higher in the winter months. When looking for cheap places to stay, keep in mind, Vail is expensive. The least expensive is a private room in one’s home. But you’ll find lower cost lodging in Vail by staying a bit further from the mountain. Places like the Holiday Inn Vail and the Eagle Point Resort are affordable, both with a pool. The Eagle Resort is a condominium with an airport shuttle, and the Holiday Inn has a fitness center, restaurant, and business center. If you travel with your pet, they’re welcome too. Finally, the Vail Marriott Resort and Spa is the least expensive in August, and the Simba Run Vail Condominium is cheapest in October. In 2014 World Travel Awards nominated Hipmunk as a lead comparison travel site, so investigate different places to stay using the best website. I’m trying to build an ultimate resource for things to do in Vail. If you’ve been there, please add your thoughts or other tips and things to do below. Linda Manning lives in trendy Newport, Rhode Island, with her husband, Paul, and young English springer spaniel Brooklynn. She is a licensed boat captain and certified diver who loves to travel. 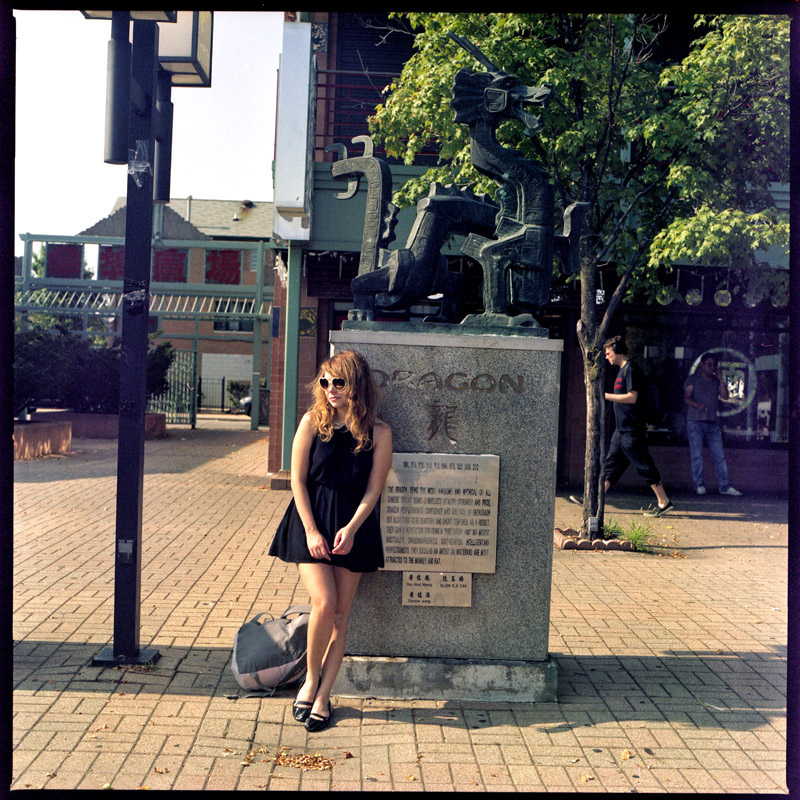 She is a freelance writer for travel sites such as Hipmunk.com. At home, Linda loves gardening, cooking, entertaining, art, museums, and all Newport has to offer.